We communicate with our customers every day. 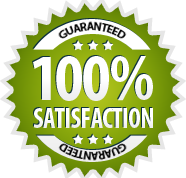 We want to ensure our customers are completely satisfied with their recent service. This is why their comments and reviews are very important to us and help us to serve our clienteles more efficiently. On our reviews page are some of most recent D&G carpet cleaning reviews posted on search engines such as Google, Yelp, Home Advisor, Yellow Pages and more along with comments about our other services such as carpet protector, carpet repair, upholstery cleaning, and water damage restoration. All D&G Carpet Cleaning reviews were never altered before being posted on our website. You can also read more D&G Carpet Cleaning Reviews on Yelp. D&G did an outstanding job on my carpets. Grozdan and his associate arrived right on time, went over the procedure and pricing, and went to work. They were thorough, professional and very conscientious, ensuring they cleaned every available area. Wonderful service!!! Very professional and friendly!! My carpets look brand new! And having a toddler, I thought that would NEVER happen! I had D&G clean my large sectional and rug yesterday. First, I called on Tuesday late afternoon and they came the next morning! I've had to wait as long as a week with other companies. Secondly, they were prompt and courteous from the start. But best of all, my carpet (a cheap Target rug that I was planning on replacing) looks NEW. Just had 6 classrooms carpet cleaned at Terrytown Academy, these guys did an awesome job. These guys are great! We had them clean our carpets and a sectional sofa. The price was reasonable and much more affordable than the other places we called. I couldn't be happier with the job D & G did. They were able to remove some pet stains that others could not. The two guys are super nice and professional. Guys from D&G Carpet Cleaning did amazing job at my house. I had an old carpet that was cleaned after Katrina and it's been a while since then.